Jute mill owners are loath to provide living wages to workers amid reports of a looming indefinite strike beginning March 15. Although the jute industry was very much in favour of providing living wages to workers engaged in mills until the middle of 2018, it now appears to have fobbed off the idea, citing steep costs of production. Living wages ensure a basic standard of living for workers, catering to their key needs like health, hygiene and education. Till the middle of 2018, the average living wage was calculated at Rs 450 per day. 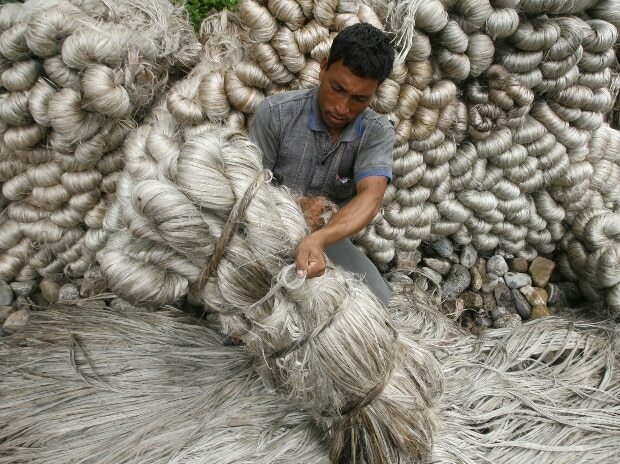 Industry data shows that the current average wage in the jute industry is Rs 628 per day and this obviates the need for introducing living wages. A third party study commissioned by the jute industry in 2016 had recommended the introduction of living wages. Due to unattractive wages, the jute industry has been unable to lure skilled workers. The beleaguered jute industry is headed for an indefinite strike called by 22 trade unions, demanding an upward revision of wages. The previous three-year term of the industry-wide tripartite agreement lapsed on April 1, 2018. “Since 1976, no productivity study has been carried out in the jute industry, leading to a fall in capacity utilisation from 98 per cent in 2007-08 to 60 per cent in 2017-18. The biggest challenge is from Bangladesh in terms of wage costs and flow of cheap synthetic bags in the domestic markets”, said an industry source. The industry has laid down a few conditions on machine efficiency and hours of work. It has also backed the inclusion of jute research productivity norms of 2016. However, the unions have rebuffed the idea. West Bengal has 66 jute mills in operation. The mills provide direct and indirect employment to 0.4 million workers. The call for a strike by the unions comes at a time when concerns are mounting on the supply of B Twill jute bags used for packing food grains and sugar. Industry observers feel the strike, if not checked, might have wide ramifications and deepen the ongoing supply crisis. Over 70 per cent of the jute bags is absorbed by government procurement agencies. Each year, the government-owned agencies procure 2.4 million bales of jute bags valued at Rs 6500 crore. For the 2019-20 Rabi season, government demand is pegged at 1.8 million bales. This year, there is a forecast for robust jute crop. Raw jute prices are hovering around Rs 45,000 per tonne, higher than the Minimum Support Price (MSP) of Rs 37,500 after the latest revision by the Union government.